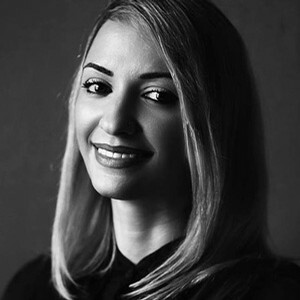 Guest curator Elena Haralabaki shares her thoughts about a few top choices the ART & BEAUTY category of Collection 45. 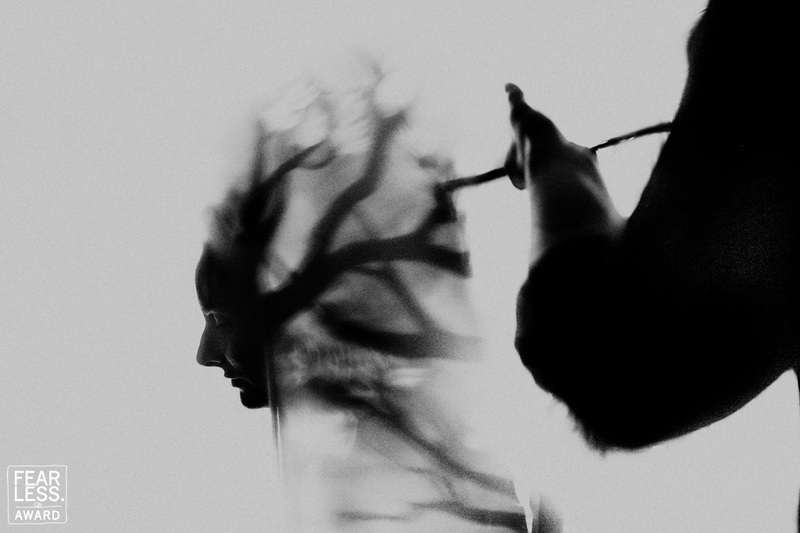 In the photo above, the surreal element prevails. It points to another reality, where absurd elements come in and the common sense is abolished. But when we observe at them and analyze them they don't look so absurd at all. 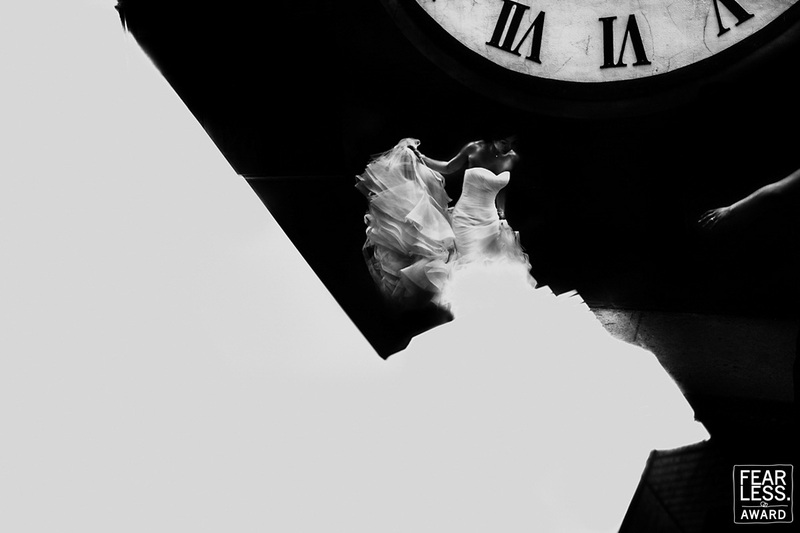 A huge clock, a bride on the move and a helping hand. We are all aware of what's going to happen. The time is over and the bride is in a hurry. Surely, someone is there to help her. The frame and the composition of the photo are exceptional as there are a lot of forms and diagonals, an intense contrast which reveals the intensity of the moment and a leading protagonist. That is a photo that narrates everything and tells itself a story. We are dealing with a masterpiece! Congratulations to the photographer! 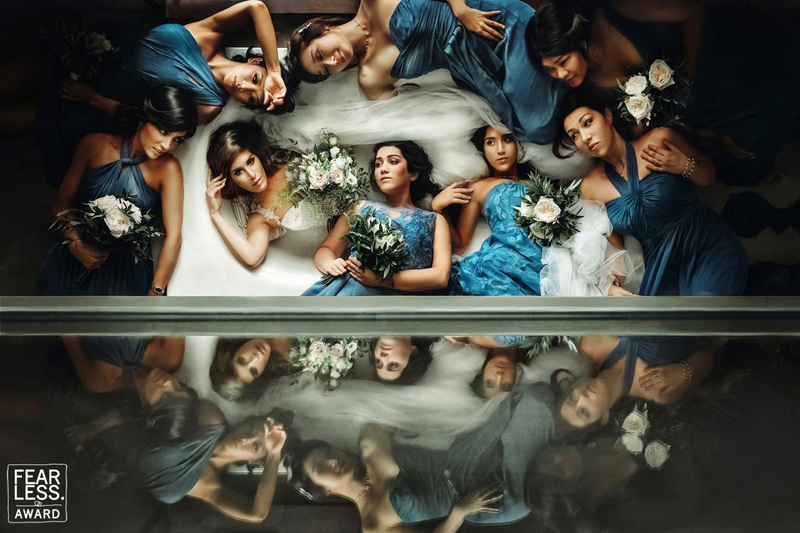 The photo above is a commemorative photo that depicts the bride and her bridesmaids. What a caption! The photographer approaches the beauty, the harmony and the grace in an objective way. The bride as a goddess of beauty from Renaissance, is surrounded by her protectors who provides her serenity and safety. There is a balance in the composition and a main perspective while at the same time the color and the soft contrast increase the atmospheric tension of the photo. Congratulations to the photographer! Perhaps in this case the photographer wants to attribute the sensation and the atmosphere that creates the photo and not an image of reality. It definitely stimulates our imagination and creates an emotional tension and a mystery. The posture of the woman shows that the soul is escaping from her naked body and is heading towards the wedding dress. Such an original and unconceivable photo in such an even frame. Lots of congrats! I consider the photo above as a great photo, as it constitutes a masterpiece ready to be read. Everyone gets something different and the photographer from my point of view fights against realism. Besides, as Th. W. Adorno says "All pieces of art, the art in general, are live riddles. In this case, I think that we are dealing with a painter that paints an unreal portrait. Nevertheless, we all know that it's about the preparation of a bride that was attributed in a way that makes the photo epic. Congratulations for the creativity and inspiration of the photographer! View the Collection 45 of Fearless Awards.